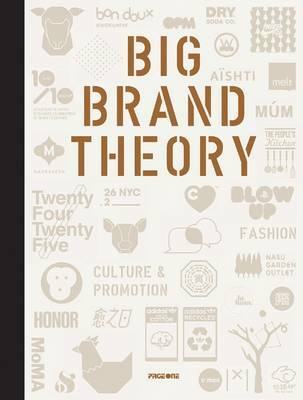 'Big Brand Theory' presents a discriminating selection of the highest-profile and most intelligent branding campaigns, and serves as an invaluable resource for those wishing to understand the key elements of building brand awareness. Case studies for key players such as Adidas, Converse, Starbucks, PUMA, Nike, Issy Miyake, Lacoste and Levi's illustrate the crucial facets of projecting a relevant and dynamic identity. Branding concepts are broken down into varied elements: for example, Nike's integrated campaigns include individual product packaging, posters, store displays, athletic wear, retail bags and boxes, high-end designer products and gifts. 'Big Brand Theory' is an indispensable multi-industry 'best-of', presenting what it takes to reach the modern consumer.